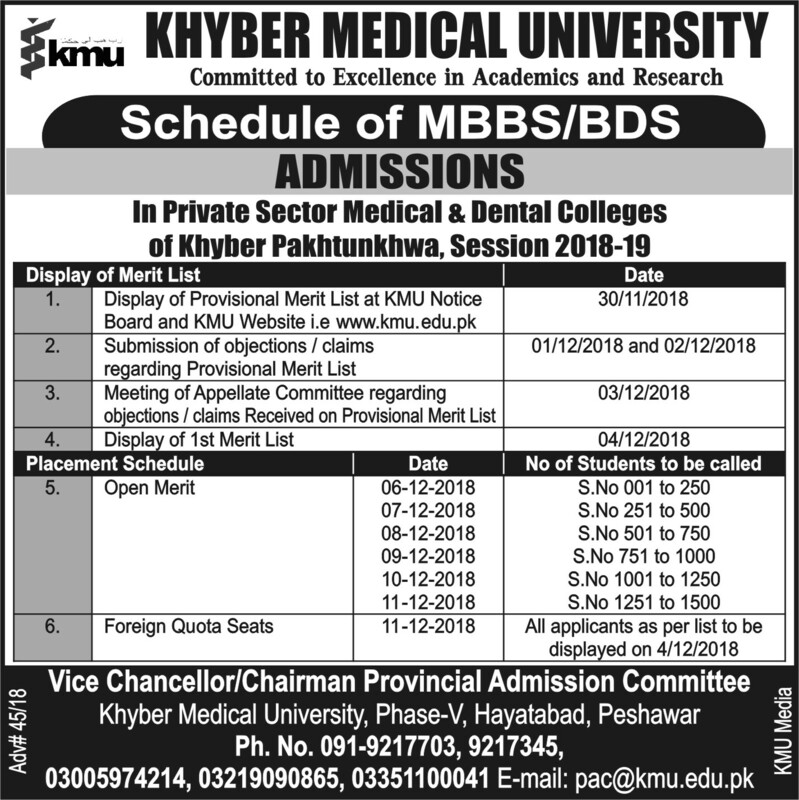 The 51st meeting of Khyber Medical University, (KMU) Peshawar selection board under the chairmanship of Vice Chancellor KMU Prof. Dr. Arshad Javed. 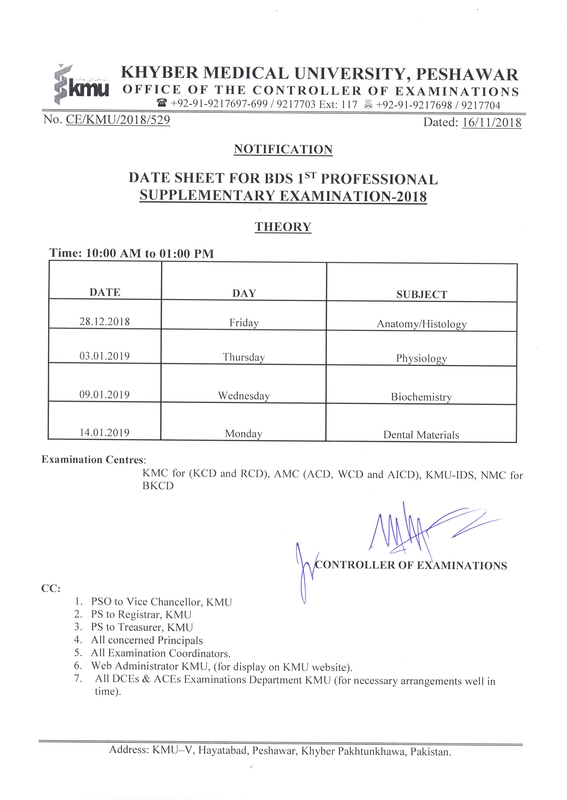 All the members of University Selection Board (USB) and experts of various relevant specialties attended the meeting. 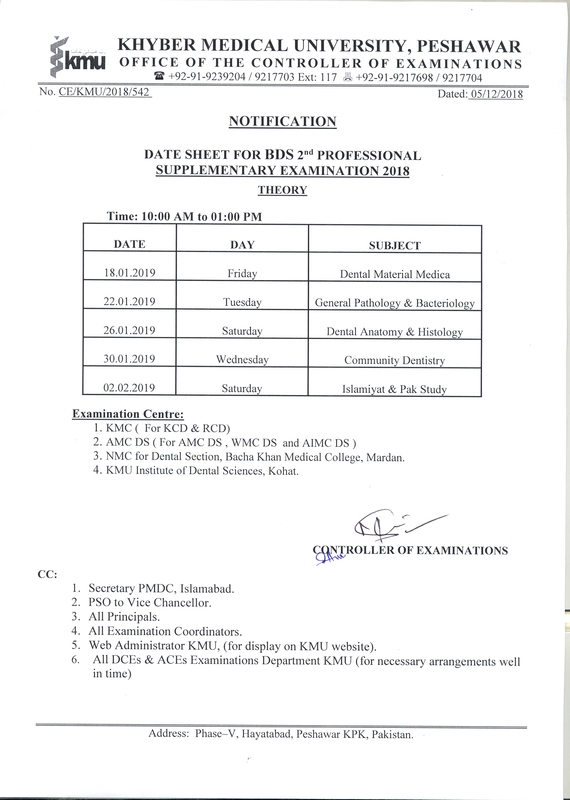 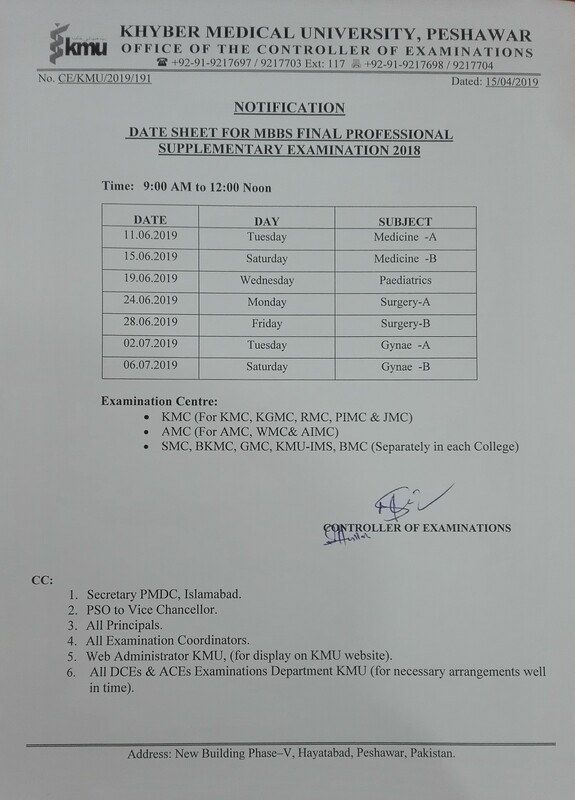 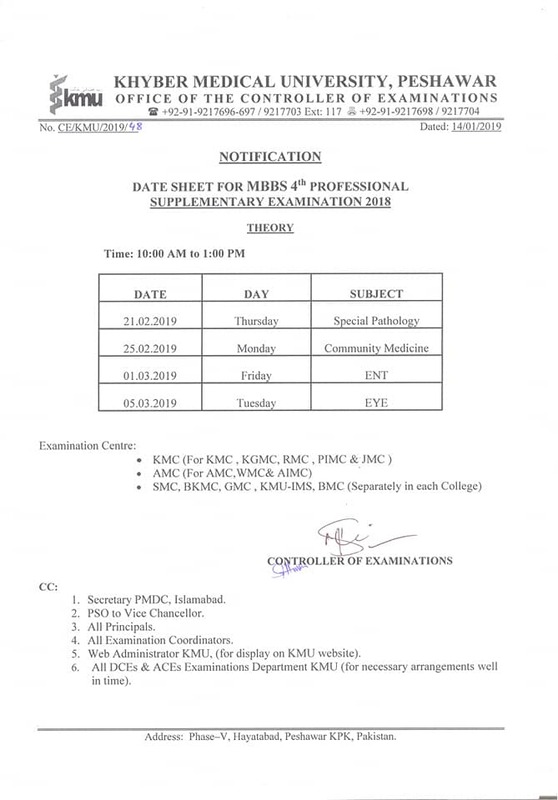 The said meeting of KMU Selection Board was held on 20.03.2018 in the committee room of VC secretariat at KMU to conduct interviews for the posts of Professor Oral & Maxillofacial Surgery (BPS-21) KIDS, Professor Public Health (BPS-21) IPH&SS, Associate Professor Public Health (BPS-20) IPH&SS, Associate Professor Prosthodontics (BPS-20) KIDS, Associate Professor Orthodontics (BPS-20) KIDS, Associate Professor Oral Medicine (BPS-20) KIDS, Associate Professor Medicine (BPS-20) KIMS, Associate Professor Pediatrics (BPS-20) KIMS, Assistant Professor Medicine (BPS-19) KIMS, Assistant Professor Radiology (BPS-19) KIMS, Assistant Professor Public Health (BPS-19) IPH&SS, Assistant Professor Oral & Maxillofacial Surgery (BPS-19) and Assistant Professor Prosthodontics (BPS-19) KIDS, Kohat. 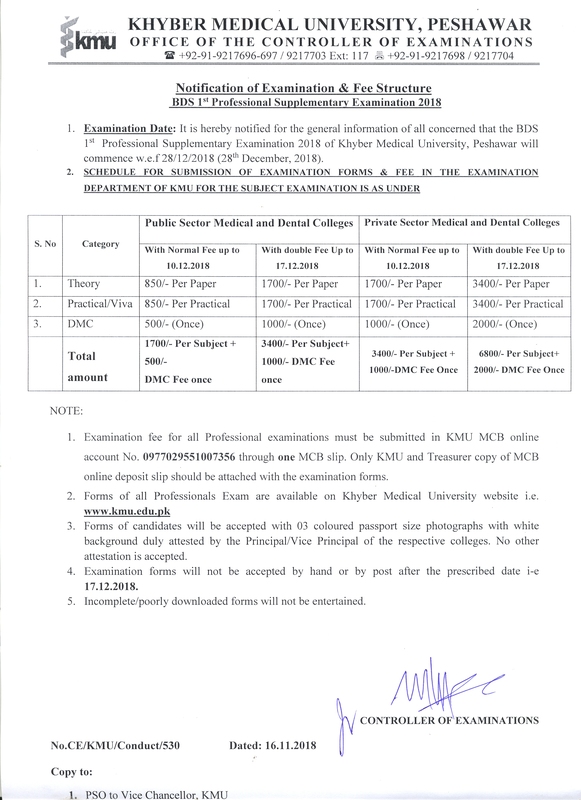 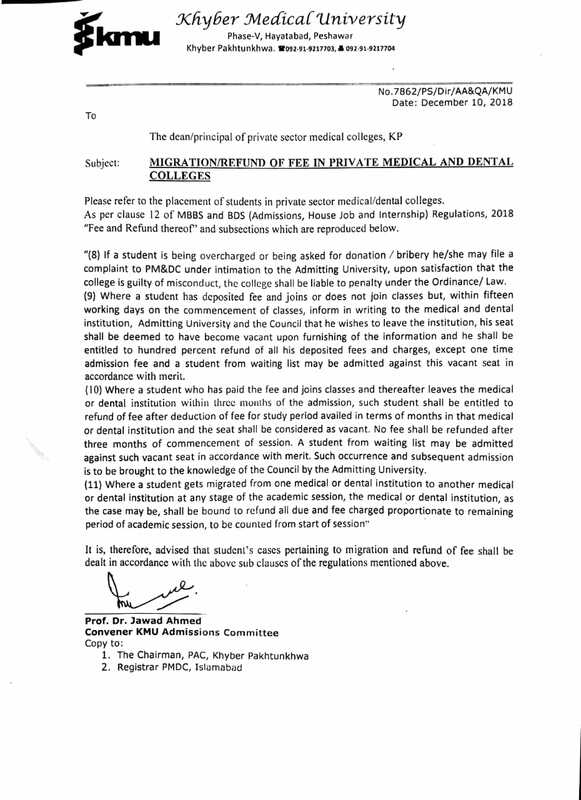 Agenda for promotion of KMU Administrative Officers against the posts of Director P&D (BPS-19), Deputy Controller of Examinations (BPS-18), Deputy Registrar (BPS-18) and Deputy Treasurer (BPS-18) was also discussed and recommended for onward approval of the KMU Syndicate.